Mid-sized arts cities often claim to be on the brink of some limelight explosion, but the whole 'we're-actually-serious-this-time' caveat has gained traction around these parts lately. As the city changes, grows, and attracts more attention, it has some growing pains to feel out and some gaps to fill. Many have pointed out the gaps that remain, but few have gone out to purchase the spackle. With budding plans for a Portland-based triennale, Modou Dieng has taken the caulk in hand. Not So Quiet is the first fundraising event to pave the way for something much bigger to come. The event contains an impressive mashup of cultural practices such as "a dance performance by San Francisco-based choreographer and performance artist Renee Rhodes; readings by Portland-based writer and poet Matthew Dickman; intellectual stimuli from critical theorist and author Barry Sanders, PhD; unique sonic textures by local musical duo Golden Retriever; and DJs spinning throughout the evening. Not So Quiet will also feature the paintings of Jason Traeger, and video works by San Francisco-based artist Anne Colvin, among other guests." This Saturday will be the first day (unless you're a Patron Society Member, in which case the first day will be Friday) to see Carrie Mae Weems' exhibit on view at the Portland Art Museum. It's nice that this exhibition of photographs and video by an African-American female artist coincides with Black History Month. I wonder what our community would look like if we didn't need to find an occasion to do such a thing. 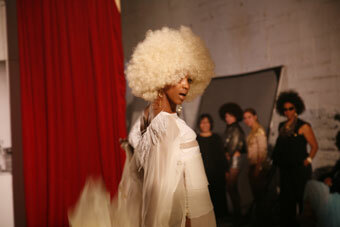 "Featuring some of her most groundbreaking work, including Ain't Jokin', From Here I Saw What Happened and I Cried, Ritual and Revolution, and the recent series Constructing History: A Requiem to Mark the Moment, Weems' work will challenge audiences by highlighting issues of power, race, and gender." Ampersand has been doing great things for a while now, often discovering new talent. In presenting Harrison Freeman's Both Sides Now it looks like they are at it again. Freeman is obsessed with zombies and horror genres with a tad of that Storm Tharp effect... only without any of the washy ink effects with the wicked line work... GOOD decision! The gallery's PR states: "Brightly colored & grounded in a nostalgic love of zombies & monsters, the Dukes of Hazzard & comic books, Freeman's gallery of garish portraits is inspired by (& even drawn on) found photographs of people long dead. 'It started when I was in Berlin scouring flea markets for old photos,' notes Freeman. 'I was buying pictures of people I thought looked especially strange or creepy & then tried to magnify that in the drawings I was making.' The initial result was a series of 50 snapshot photos, on the backs of which Freeman drew & painted often grotesque interpretations of the front-side figures. Arranged in a large grid at the gallery, the installation is interactive in that we are able to flip from front to back in a comparative viewing experience. As an impetus for a larger body of work, these snapshot sketches have been edited & refined in Freeman's new collection of drawings & paintings. 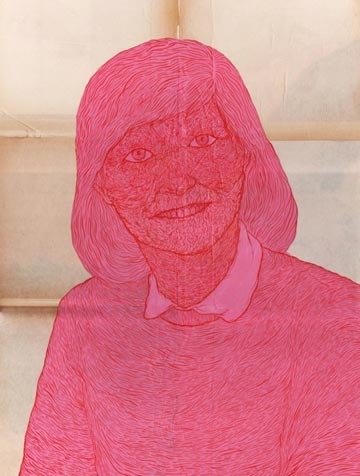 Zeroing in on favorite faces, his works on wood panel & yellowed found paper amplify the distinct folds of skin, bulging eyes, toothy smiles & hair gone awry that are singular to the best & worst of found photographic relics." Adrian Searle discusses what is profound and what merely entertains at the Hayward Gallery's Light Show. This is a difficult line for light and space artists since they are generally bounded by the conventions of stagecraft and architecture. 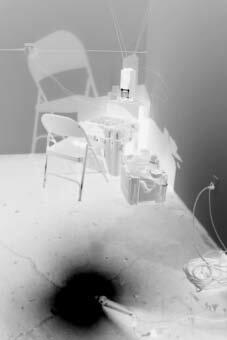 The difference I feel is the better light and space artists are extremely rigorous thinkers and among the most demanding art practitioners out there. Robert Irwin, the brightest human being I've ever encountered comes immediately to mind (apologies for that pun). He doesn't just show the viewer some pretty lights... he gives the viewer a chance push their perceptual powers to the limit. This makes the work demanding. In related news, Paul Sutinen... who infamously interviewed Irwin at a Burger King in Portland considers the way that artist's trademark disc piece is displayed at the Portland Art Museum to be a kind of vandalism. It is true, that presentation of one of the best pieces in the collection IS horrendous (a hangover from the still overcrowded Buchanan era install that needs thinning and more sensitivity). Installed correctly (as it once was) it is a stunner. The over-installed nature of most of the museum's collection is a MAJOR drag on the reputation of an otherwise rapidly improving modern/contemporary program at PAM (Rothko, Beuys, Mike Kelley, Sigmar Polke & Bruce Nauman just last year alone). Can we fix this? This sort of thing is what many design professionals in Portland consider a major turn-off at the museum. PAM's Jubitz Center is due for a major reinstall. (Perhaps what's been holding all this up is the fate of Ed Cauduro's collection... which is likely the only chance to fill in major gaps in the collection from the mid 60's to the late 80's ... and to have Ed take his rightful place as the greatest art collector in Portland history.) Portland has grown up a lot in terms of the viewer's expectations and overall sophistication level and everyone is simply demanding a lot more of the way work is presented. On Saturday, Corin Hewitt will give a gallery talk titled "The Studio Pressed Flat" at the Lumber Room discussing his work in the current show "Terrain Shift" and how his practice relates to both Kurt Schwitters Merzbau + Giorgio di Chirico's painted interiors. There is a kind of surreal accretion that takes place in the work of all three artists so I'm intersted in this rationale. In general, Terrain Shift is perhaps the most "lived in" show at the Lumber Room to date and because it ends February 2nd this is one of your last opportunities to catch the exhibition. As part of their 2/2 series (2 pieces by the same artist on display for two weeks) Fourteen30 presents Jessica Jackson Hutchins. Hutchins lived in Portland until recently and keeps coming back despite grousing about Portland in magazine articles (I find most people who move away do this because they have to constantly justify why they left, though they miss it deeply... my brother does the same thing). Anyways, glad to see her work in town again. 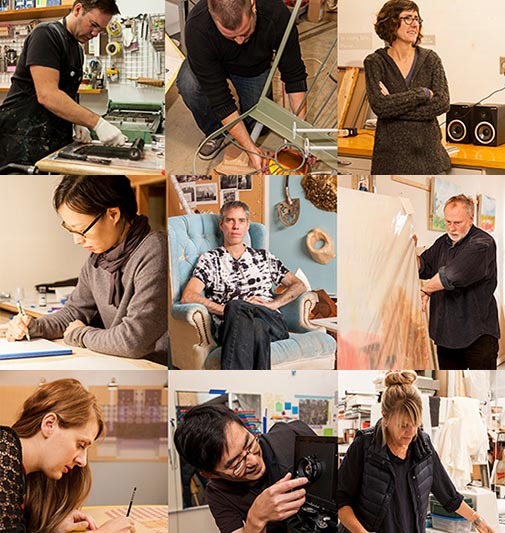 Three years ago the Ford Foundation did a wonderful thing and started giving out three $25,000 mid career fellowships to Oregon artists. The nine fellows so far are; Daniel Duford, David Eckard, Heidi Schwegler, Sang-ah Choi, Bruce Conkle, Stephen Hayes, Ellen Lesperance, Michelle Ross and Akihiko Miyoshi. All will be featured in the inaugural exhibition: We Tell Ourselves Stories in Order to Live at the Museum of Contemporty Craft, which opens tomorrow, January 24th 2013. 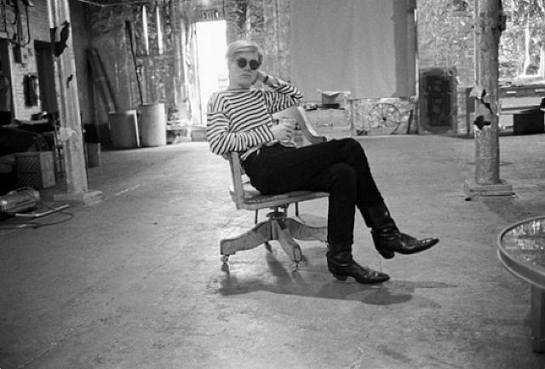 Rather famously, Andy Warhol's Factory was the nexus of difficult to categorize cultural activities... catalyzing in one of the greatest nexuses of cultural production ever. The Factory's chaos was frankly stimulating... echoing other great cultural moments like Berlin during the Weimar Era, the New York School or The Surrealists in Paris. Similarly, In the past decade+ Portland has undergone a renaissance in difficult to categorize (call it boundary pushing) alternative art projects and spaces. This fermenting stew of artist-driven activity IS perhaps the most interesting thing about the Portland scene. Unfortunately, that type of activity (on boats, in garages and warehouses) is incredibly difficult for older style venues and granting agencies to grapple with. Their more old fashioned criteria are preoccupied with; tangible craft, academic resumes and the persistence of their own pristine white walls. This schism has required action for quite some time, and I'm relieved to break this story now that someone has taken a bold new step towards addressing it. Leave it to the Andy Warhol Foundation and PICA to provide much needed movement in the support of what makes Portland such a vital arts city with the Precipice Fund of regifting grants. Consisting of 15-20 small grants for a total of $75,000 per year the fund targets "unincorporated" arts activities like alternative spaces or artist collectives. As an extension of the Warhol Foundation's regional regranting program, already successfully administered by institutions like Diverse Works in Houston and Southern Exposure in San Francisco. In fact, in many ways this funding initiative is in keeping with Warhol's own penchant for creating a catalytic environment for talented people whose process follows the more unpredictable path. Getting one of these regrants will also be morale boosting and a way to vet these often ephemeral projects... giving practitioners a ladder to perhaps step up to the next level. This project is also noteworthy for the altruistic nature of regranting... because institutions who undertake this sort of activity ultimately must designate already scarce resources to the management of these programs, which ultimately do not reflect that institution's specific agenda. No traditional museum (which is organized around a collection) or a school could do this. It is true that these projects sometimes get funding from OAC and RACC but it is on a very ad hoc basis. This funding is tailored to the fact that an interesting art practice doesn't do well with traditional reporting methods and metrics because the projects themselves have ever changing goals and outcomes based on the pragmatioc experience of executing these projects. "PICA is proud to announce The Precipice Fund, a major new granting initiative for Portland based unincorporated visual art collectives, alternative spaces, and collaborative projects. Formed with the support of the Andy Warhol Foundation for the Visual Arts, The Precipice Fund expands Warhol's Regional Regranting Program to the Northwest, creating new channels of support for "vibrant, under-the-radar artistic activity." Rachel Bers, Program Director for the Andy Warhol Foundation for the Visual Arts, explains that, "by partnering with leading cultural institutions in communities across the country, the program allows the [Warhol] Foundation to reach the population of informal artist collectives and to support their alternative gathering spaces, publications, websites, events, and other projects. It a very busy weekend and PORT has an avalanche of articles for you this week. Here's some great news from the weekend to tide you over. The Northwest's most accomplished psychgraphic landscape abstractionist, James Lavadour, will be taking part in the 2013 Venice Biennale. It is part of the ongoing Personal Structures series of exhibitions at the Palazzo Bembo. James is simply amazing, congrats. Also, great news Ralph Pugay has been awarded a Joan Mitchell foundation grant. In fact the thread here is that Lavadour is also a Mitchell alum... who knows perhaps he will be in a Venice Biennale as eventually as well. It's a major coupe for such a young artist recently out of art school. Pugay is easily the best purveyor of dark humor in the Northwest. The Yale Union is starting off 2013 with an exciting series of performances by New York-based artist, writer, editor, and librarian Angie Keefer. Keefer's five performances will occur on some Friday evenings in January, February, and March. The talks will make use of different media such as audio, film while cohering around an inquiry into human perception and what motivates human investigation. 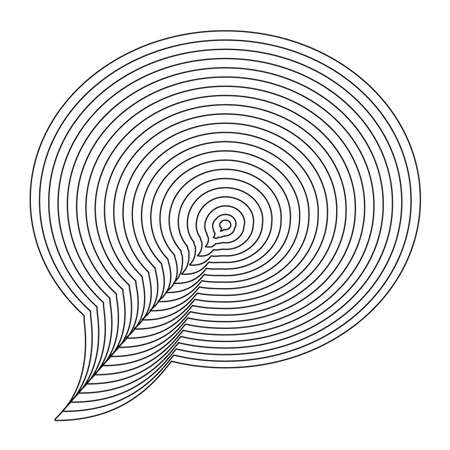 Keefer is co-founder of The Serving Library, an online resource of "bulletins", or downloadable PDFs merging thematically in a published journal each season. Angie Keefer | Opening Reception / "Magician"
At Place this Saturday, Jamie Marie Waelchi and Travis Nikolai exhibit two new installations in the Black Gallery. I look forward to another lyrically personal set of artifacts from Waelchi. " Solid Mind examines the disappointments and frustrations, internal and external, that interfere with one's goals, ideals, and anticipated life trajectory. 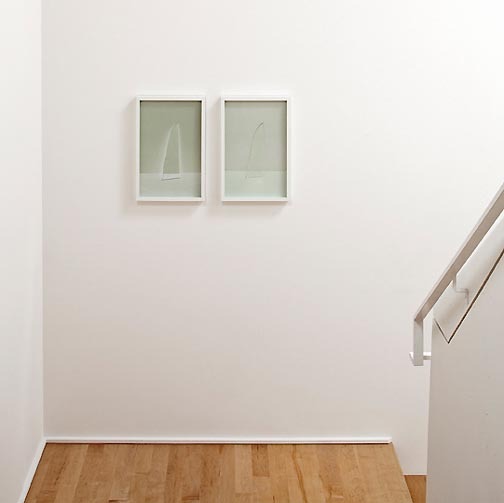 The installation considers the reconciliation of personal expectations with lived reality using glass containers, liquid, light, and a stream-of-conscious drawing technique." The second iteration of the privilege-based exhibition White Pride? also unveils in the same evening at the White Gallery. Former creative guru at Nike, Peter Moore, will be in effect tonight as his solo exhibition, Controversy and Conversation opens at Gallery Homeland. This graphic driven work makes hamburger of both saints and baddies in a way that seeks to provoke. This is the guy behind the first Air Jordan shoe campaign and on top of it all Gallery Homeland's director Paul Middendorf (currently living in Houston where he has opened another branch of GH) will be back in town as well. "A thematic exhibition dedicated to the promotion and dissemination of contemporary ideas. NOW provides a fresh and critical forum to showcase ..."
This Wednesday at Archer Gallery in Vancouver, Terra Linear opens, an exhibition in which nine regional ceramicists exhibit bodies of work that are all informed and motivated by considerations of linear quality. 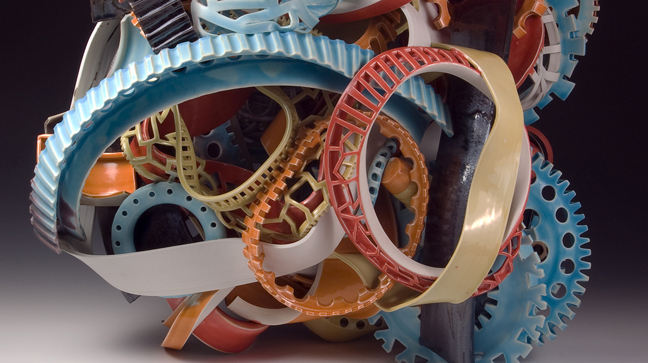 "Through innovative approaches to surface treatment, structure, and a freedom with materials, these contemporary artists all take full advantage of the plastic lyricism and material delight available through ceramic processes." 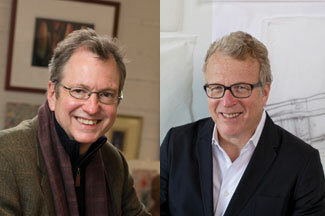 On Monday night, as part of Portland Monthly's ongoing Bright Lights discussion series, PNCA President Tom Manley and architect Brad Cloepfil will be discussing the art school's 511 building renovation (in the media PORT was the first to recognize the 511 building as a game changer for PNCA and the city). Of special interest is the "creative corridor" it will form along with other North Park Block based entities like RACC, the Desoto Building galleries and numerous other creative firms that are within walking distance of the school's new HQ. This move effectively makes PNCA the North Park Blocks anchor tenant that with the Bud Clark Commons should revitalize a somewhat dark and sketchy area at night. The event will be hosted by Randy Gragg, who can be counted on to keep his stronger eye on the promotion of regional real-estate developments. This weekend is exceptionally busy with openings and events at Lumber Room, Art Gym, Place, Rock's Box, PSU, Nationale etc. Lumber Room (already posted about) and Art Gym are my two top picks (Tori is under the weather) but here are the rest. On Sunday the Art Gym presents probably the most highly anticipated exhibition to kick off the new year. The dual offering of Kelly Rauer's Weight and Samantha Wall's Laid to Rest is an inspired pairing of two of Portland's best observer/translators of human physiography. The shows are separate but related. Rauer is presenting her most ambitious multi-channel video installation to date. Like Rauer, Wall focuses on a single female figure and "has created a set of drawings that draw on selected video stills as they explore the emotional and cultural underpinnings of gesture." Let's see how the stack up against Robert Longo and Sam Taylor-Wood? 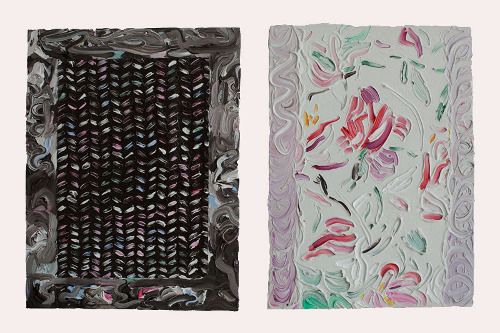 For you painting fans, Nationale presents Lindsay Kennedy's Pattern Assembly on your busy Saturday Night, evoking the pastel and pattern filled heaven/hell that was the hallmark of the late 80's. Buy some Aquanet, make your hair real big, put on some moon boots and check this out. In many ways I wish May would just call up Duane Sorenson and get him to back them and buy the prime Pulliam Gallery space in the Pearl District (now for sale). Nationale has had great taste showing Carson Ellis, Midori Hirose, Oregon Painting Society and Amy Bernstein etc. over the years. The Pearl could use some of the freshness that Nationale seems to find so effortlessly achieve in a serious, well funded gallery that can concentrate on the big picture not just hand to mouth sales (i.e. expect to lose money for 3+ years). 2013 is now fully under way and this weekend your Portland art event options are going to be extra plentiful (Tori will have more details soon). 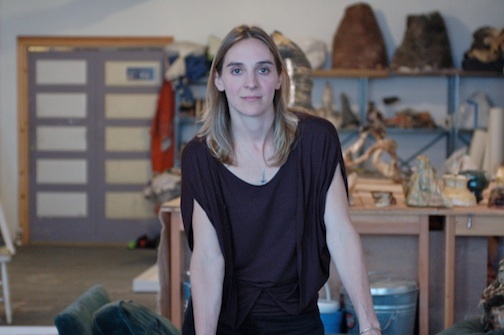 In advance of that deluge, I suggest attending Evan La Londe's artist talk at the Lumber Room on Saturday at 3:00 PM. This is perhaps the Lumber Room's most "lived in" exhibition in feel (it is a private residence/collection after all) and La Londe is well versed in the discussion of "the room as camera"... which is a great opening artist talk for this show. Kurt Schwitters in exile. Is there a modernist who seems more timely than Schwitters? Portland was listed as one of the top 12 art places in the USA... 'cept they think the Pearl is the center of activity (I'd say it is only about 33% of the Portland art scene, the near southeast and North Portland together probably eclipse it though If you know anything about Portland's art scene (which all PORT readers do). Tyler Green has his weekly weekend roundup... always a good thing to check in on. 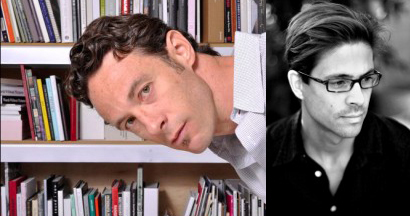 Newspace is kicking off the year with a free talk by photobook specialist Daniel Milnor and publisher Darius Himes this Saturday. "Through extensive examples drawn from their personal work and experiences, and from a compelling survey of contemporary artist books, Milnor and Himes will open your eyes to the diversity of the international photobook scene." The Portland Tribune published my take on 2013 in the visual arts today, along with predictions by a number of other Portlanders you might recognize. 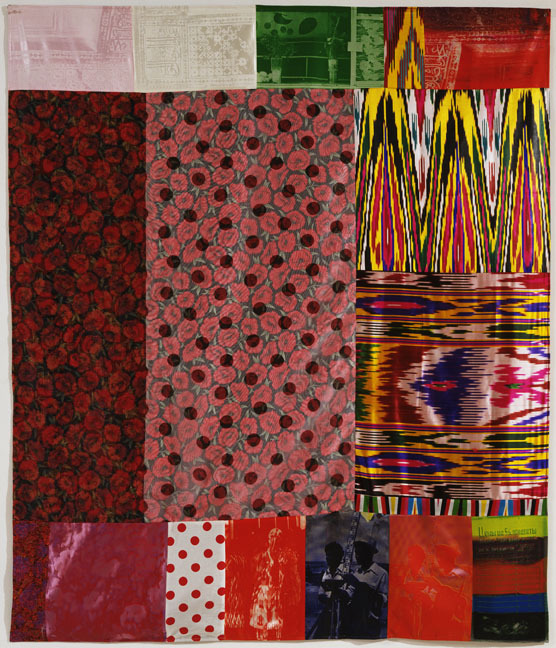 Robert Rauschenberg, Samarkand Stitches I, 1988, Unique screenprint and fabric collage, 61" x 46"
Robert Rauschenberg's longstanding career has doubtlessly had an outstanding affect on artistic production to this day, particularly among artists working with collage. His combines operated between the modes of painting and sculpture and made use of everyday objects that would often literally be placed on the surface of the painting. The exhibition opening at Elizabeth Leach tomorrow showcases his forays into printmaking. 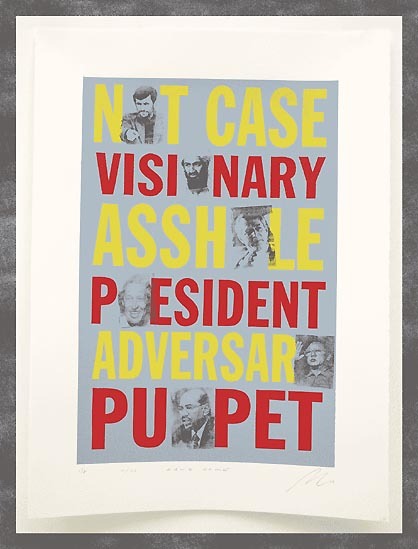 These screenprints and lithographs are certainly flatter than the work he's most known for, but they employ a similar chaotic flow of everyday imagery, content, and pattern. 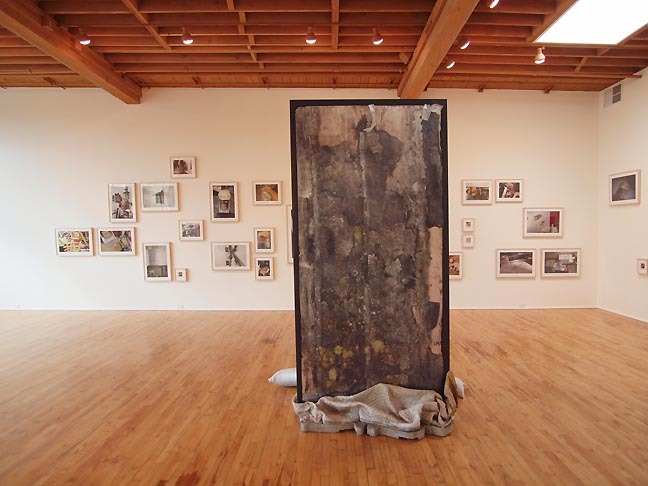 His son, Christopher Rauschenberg has a series of photographs depicting witty captured moments in a museum setting that are also exhibited contemporaneously. In the video window, viewable from the exterior of Elizabeth Leach, there are a series of video works by Signal Fire alumni Miguel Arzabe, Rebecca Najdowski, Julie Perini, and Zachary Davis. Signal Fire is a Portland-based non-profit arts organization that offers residencies and retreats to artists across many disciplines. Signal Fire celebrates their five years as an organization in 2013. PSU MFA grad Mariana Tres' body of visual works play on the truth value of photography in relation to shared-historical knowledge. This exhibition features work from the playful institution founded by Tres, The Society for Nebulous Knowledge. "'CELESTIAL CLOCKWORK: Herschel McShougle's Dream of Ten Thousand Years' is the sixth major presentation by the Society for Nebulous Knowledge, the quixotic institution Miss Tres oversees. Herschel McShougleâ€™s dream asks us to think deeply into the future. 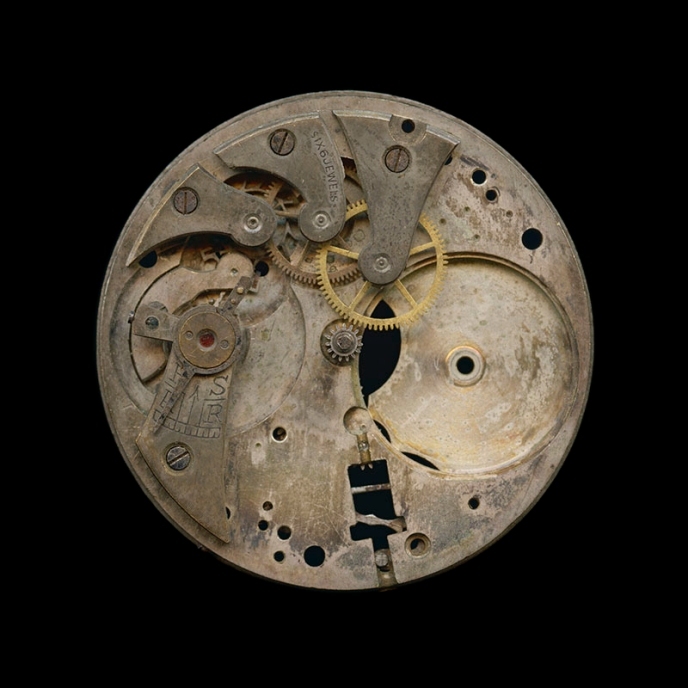 Research for his imaginative decamillenial clock has been recovered and faithfully captured through photography, artifacts and biographical documents for this premiere exhibition. Information will also be available about a present-day manifestation, the 10,000 Year Clock of The Long Now Foundation."